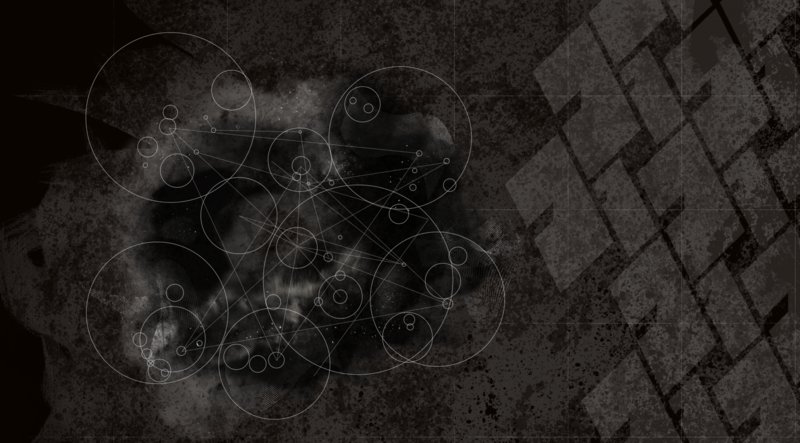 I’ve had a little bit of delay since I finished this artwork until posting it (is has been 8 days), but now I’m getting around to writing this quick post about it. The three Quarryn Matrons (Eefiga in their language) were at one point sisters- three triplets born from Quarrnyl. These three sisters were the first Quarryn and were tasked with handling the three domains of nature: plants, animals, and the earth. 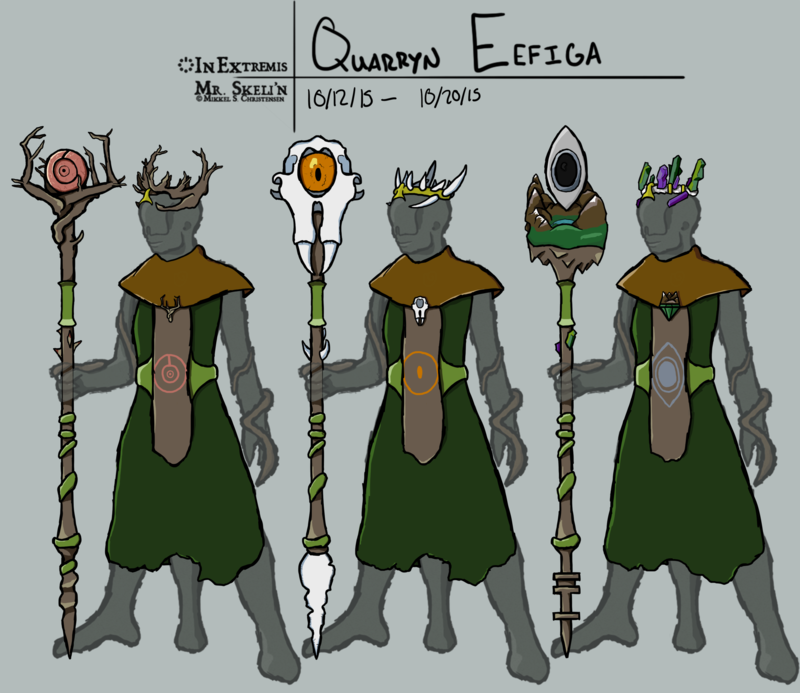 Each of the three Eefiga have their own staff, eye, crown, robes, and clasp. The staff itself is mostly ceremonial, but serves as a holding place for each Eefiga’s eye. The eyes are multipurpose- used for ceremonial purposes when all three are together, and the wearer of the respective crown can see out of the eye, regardless of where it is. The crowns are also part ceremonial, though they serve to further distinguish each Eefiga apart, as well as providing the link to the eye, as previously mentioned. The Robes are the same for each Eefiga, with two variances between the three robes. The eye of that particular Eefiga is depicted on the front of the robe on a separate piece of cloth, bound to the robe by a clasp that also depicts the top of each staff.